What's the use of the Marriott Best Rate Guarantee? Home / Hotel Rewards / What’s the use of the Marriott Best Rate Guarantee? What’s the use of the Marriott Best Rate Guarantee? I recently booked a hotel for business directly through the Marriott website. 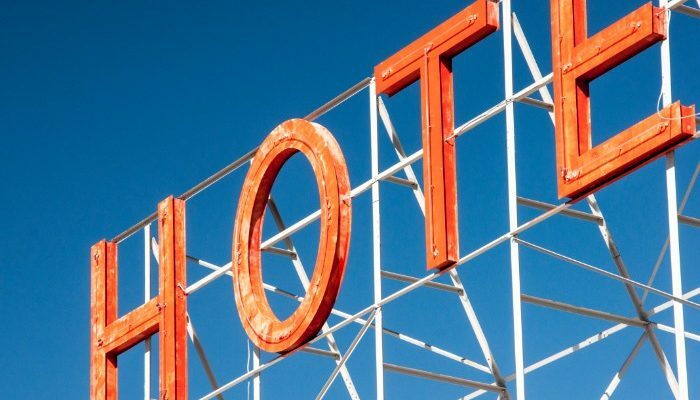 Having previously conducted some analysis to determine whether it is best to book direct or through hotels.com and concluded that in the UK, direct is best. I thus didn’t feel the need to hunt around for the best rate and was also reassured by the existence of the Marriott Best Rate Guarantee. Perhaps it was pure look on the day I did my research. Pure curiosity drove me to check the prices on hotels.com and discover that I could book my room for just £80 on the site compared to the £93 I had paid. Shock, horror! I couldn’t cancel my Marriott room as it was non-refundable, but I knew I could resort to the Best Rate Guarantee. On check in the following day, I explained the situation with my booking. I wrongly assumed that the hotel would simply reimburse me the difference, plus the 25% discount you receive should you find the same room on another site for a lower price. Instead, I was advised to log on to Marriott and complete the online form. No proof of your cheaper room find is requested, so I assumed that this would be a pretty quick process. I figured they would simply do an online search to verify and then refund me the monies. First, I struggled to find the exact page to fill out the form. It seems to be hidden away. Perhaps to dissuade claims? Once I eventually tracked it down and filled it out, I pressed submit and waited. And waited. That was last Wednesday (1st march) and still I’m waiting. The idea is that to qualify, you must have found the room cheaper elsewhere within 24 hours. Given it is now a week since I submitted my claim, how can Marriott possibly verify whether I had found a rate cheaper elsewhere now? After all, those rates will have disappeared from the system surely? The website specifically says they will contact me within 24 hours but nada! So is the Best Rate Guarantee any use? At this moment in time, I’m not too convinced. Personally I don’t feel this is acceptable but maybe I am just incredibly impatient (for the record, I so am!). What do you think? Has anyone else invoked the Best Rate Guarantee and what was your experience. Frankly, I’m not feeling confident of a response and think the response time is pretty crap. Previous Is January Really the Cheapest Month to Travel? In my experience, it is very rare not to get a response within 24 hours. While in the last year it has been more difficult to find the lower rates, it is still the best BRG out there. I too normally only book the lowest cancellable rate. Sometimes it takes a few tries to get a LNF pushed through, but persistence has saved me a great deal of money over the years. I use the ihg brg all the time… I’ve never tried Marriott but imagine it’s easier that ihg because Marriott matches and discounts whereas ihg give the room free. One thing you really need to read and read again are the terms and conditions and undetstand them and the many loop holes the build into them. I’ve become somewhat of an ihg free room expert.. last year about $9000 worth of free rooms in Paris, Cambodia, London, Amsterdam and New York city. They will deny claims based on many different small details. It takes practice and many denials but once you learn, its well worth the effort. Choice Hotels used to offer a free room brg but took it away for us in the US. It still applies to anyone in any other country. @keith — I have never had any luck with IHG, BRG but I’m pretty good at Marriott LNF. I”ve used Marriott’s Look No Further rate guarantee successfully more times than I count. (As have many others -see this thread on FlyerTalk: http://www.flyertalk.com/forum/marriott-ritz-carlton-rewards/854562-post-look-no-further-rate-guarantee-successes-137.html). In general, I”ve never had to wait more than 24 hours for a decision. I’m confused by your statement that “No proof of your cheaper room find is requested.” when Marriott specifically requests the URL for the lower rate. It’s also a good idea to take a screenshot, in case there’s any dispute. Your experience is the exception, not the rule. I would check back with Marriott to see what the issue is. I’ve used the BRG many times successfully. I will agree that finding the claim form isn’t easy. Makes you wonder if they are so confident you are getting the best rate they would proudly display the BRG link front and centre. You should have received an email confirmation that your BRG claim was received. Having said that, what I usually do is I compare rates before I actually book. I use Trivago to compare rates instead of visiting different sites. I also like to use Hipmunk just to be sure. If I find a lower rate elsewhere, I reserve the lowest cancellable rate on Marriott and then fill out the form. As I mentioned above, you should receive a confirmation email that they received your BRG inquiry. The BRG agent will search Marriott’s own system for the lowest rate (based on the same room type and cancellation rules etc.) and compare it to the site you submitted. If they find a lower rate on Marriott they will change your reservation to the lower rate, if the comparable rate was lower then they will adjust the rate by 25%. Marriott has always replied in less than 24 hours for me and all of my stays are BRGs. In fact, I would rate them the two best along with Starwood’s BRG. Also Marriott has one of the most consumer friendly policies that you can cancel one day after booking for nonrefundable rates. Based on your post, it sounds like this was your first BRG and maybe you are less than experienced and made some mistakes. I would recommend using them again in the future. Marriott is the easiest chain to find rate discrepancies and a very easy LNF approval process.